This remembrance stone and the Australian Memorial Garden and House are dedicated to the memory of the 5397 Australian air crew lost in action over Europe during the Second World War 1939 - 1945. Unveiled by Group Captain Roxley McLennan Air Force Adviser, Australian High Commission, London on 16th May 1995 on this former Festival of Britain site. This memorial stone was donated by Jon Bannenberg & a niece of the late Squadron Leader B. A. Grace, DFC, RAAF. Above this plaque is a black stone carved with the RAAF badge. 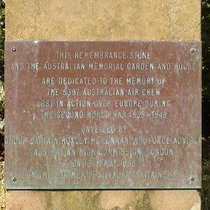 The plaque refers to "the Australian Memorial Garden and House". 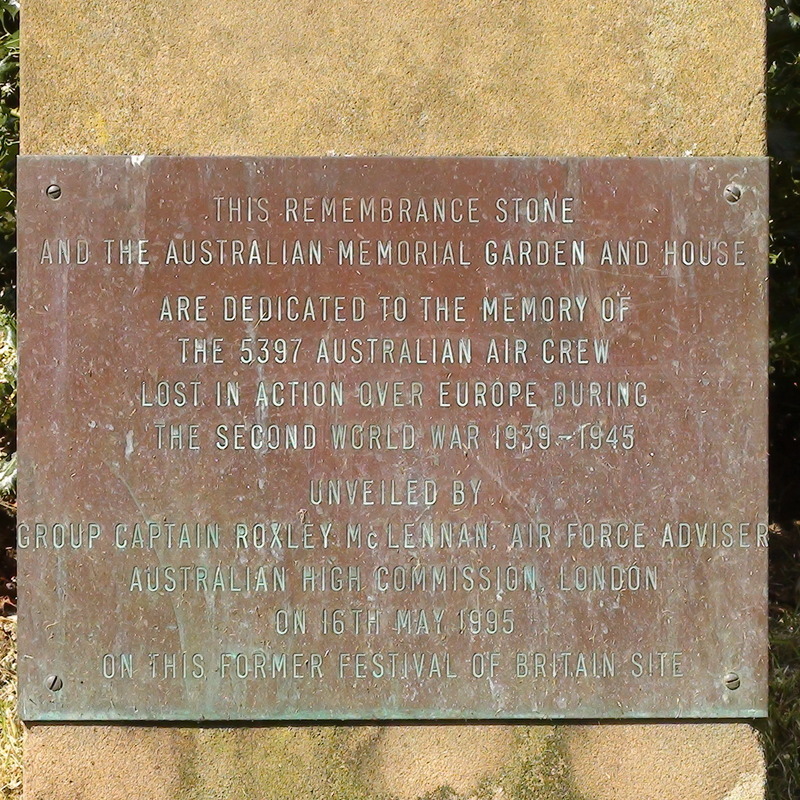 The Garden is obviously the area that holds these Australian memorials, but we don't know to what the "house" refers. An Anzac Day service has been held in Battersea Park every year since 1995, on April 25, very early in the morning. Since its arrival in 2000 this boulder has featured in the ceremony.